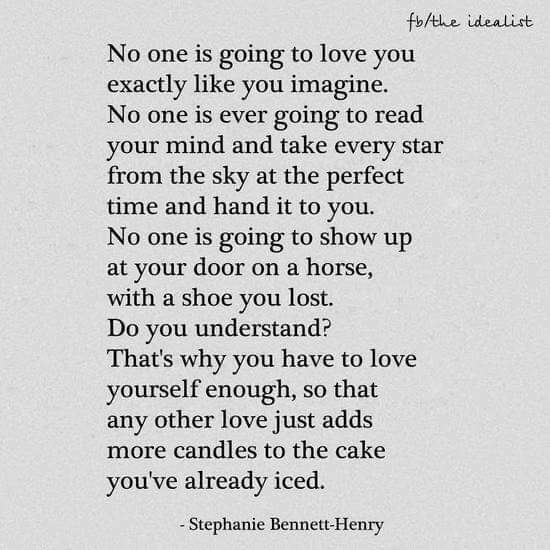 No one is going to love you exactly like you imagine. No one is ever going to read your mind and take every star from the sky at the perfect time and hand it to you. No one is going to show up at your door on a horse, with a shoe you lost. Do you understand? 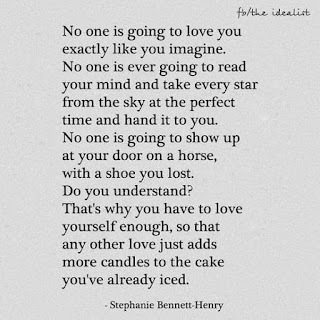 That's why you have to love yourself enough, so that any other love just adds more candles to the cake you've already iced. 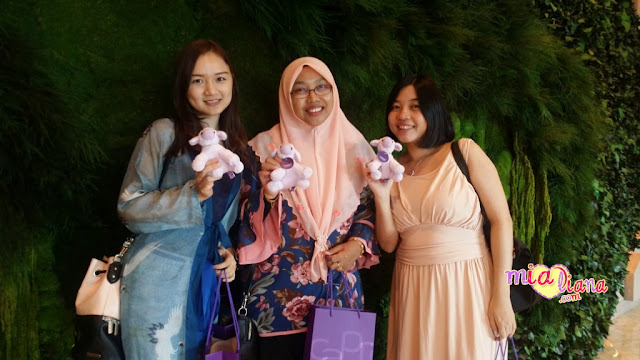 Betul tu.. kena sayang diri sendiri dulu..
waalaikumussalam mama... yupp betul tu..